Looking for freelance work? Well it just so happens we’re looking for freelancers!  Join Grindstone – We’ve got cookies. We’re looking for motivated creative professionals from the Memphis area who take pride in their work, know how to meet deadlines and can work as part of a team, as well as hammer out some work on their own. If you’re interested in working with us, please fill out the form below and attach your resume with cover letter. Will we call you tomorrow with a box full of projects? Hopefully, but we’re still growing, selling and grinding, so bear with us while we sell the work! Of these things, what are you best at? Please upload your resume & cover letter. If there were a full or part time opening at Grindstone, would you be interested?